In case you’ve been living under a rock, the past weekend was the first ever Birmingham Design Fest (expertly brought together by Daniel Alcorn and Luke Tonge by the way). We were proud to sponsor and support this event which puts Birmingham on the map! With some of the biggest and best names in the design world, the events have been nothing short of inspiring. From how some of our icons got into design, what motivates and inspires them and what they love. We’ve picked up some pearls of wisdom over the weekend and sharing our best bits with you. 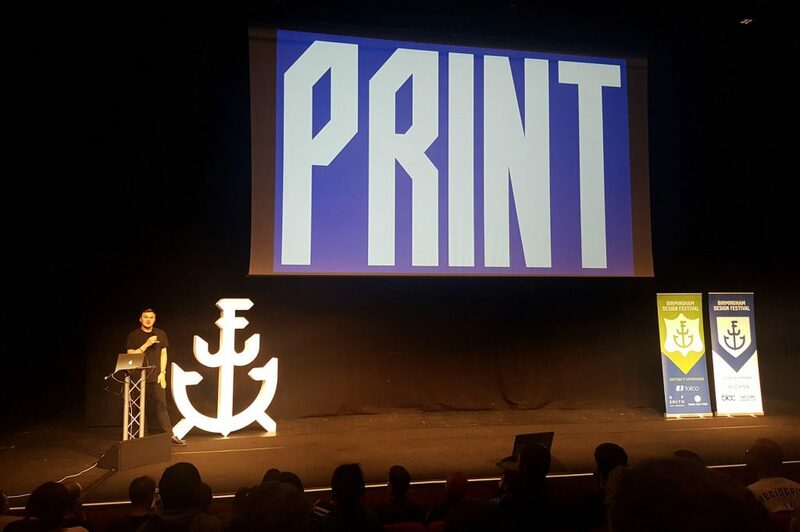 We kicked off the weekend with “An evening extravaganza of printed passion” listening to the amazing Rejane Dal Bello, Craig Oldham, Astrid Stavro and Anthony Burrill. Their enthusiasm for their work was inspiring, and if anyone left there without wanting to pick up a pencil and start a new project I’d be surprised! Onwards to Friday evening, and we had the pleasure of listening to four more fantastic speakers, aiming to absorb as much information from them as possible; Jack Renwick, Trevor Beattie, Jim Sutherland and Marina Willer. To see how they got to where they are now through their work (and plenty of amazing stories) was brilliant. 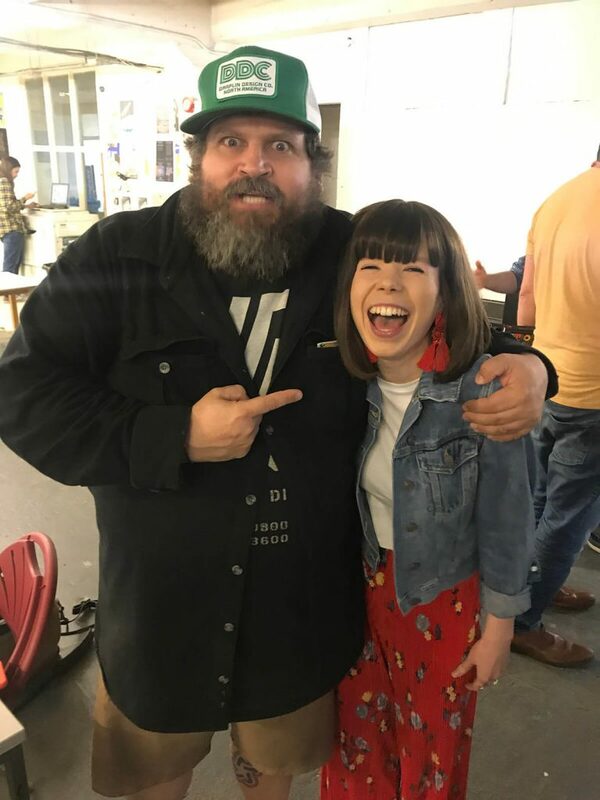 On Saturday night, we were hit with another collection of incredible designers, The Yarza Twins, Tom Muller and the one and only Aaron Draplin (the nicest man on the planet). With such a variety of work, it was amazing to see their individual styles and gain more of an insight into their unique processes. On Sunday we also had the pleasure of attending a workshop with Draplin, which could possibly be the most valuable two hours of design teaching I have ever had. The biggest thing I learned from the weekend was to not be afraid to come up with bad ideas because eventually, they will lead to great ones. Overall I’m pretty chuffed to have been to the first Birmingham Design Festival, and I can’t wait to see how it will develop over the years. 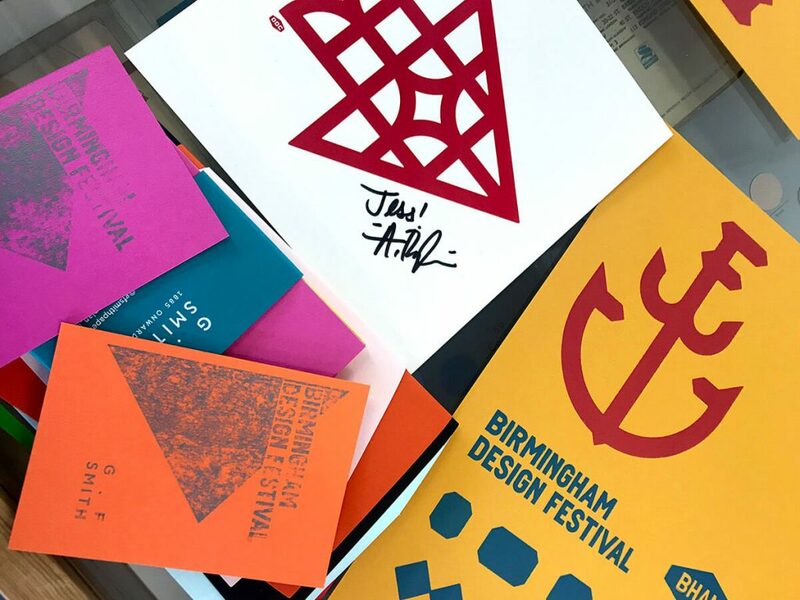 I have always found that the best way to learn and gain exposure for design is by attending design events so I was very excited for Birmingham Design Festival. It’s been a long time coming and I am so glad Luke Tonge and Daniel Alcorn took the initiative to inject more design culture into Birmingham. Thank you guys! From attending the talks I was inspired by how most of the designers gathered ideas from everyday tasks or from their environment. I was particularly drawn to how Marina Willer had created the Battersea Dogs and Cats Home branding as this was inspired by her children’s paintings. I am guilty of being heavily reliant on my mac when designing so to see that her beautiful branding had started from painting struck a chord with me. Similarly, Aaron’s Draplin workshop heavily focused on beginning his branding processes by sketching out his ideas, no idea being wrong, just drawing anything that comes to his head. It blew me away watching him take a drawing, re-create it in illustrator and then watch him develop it further into a pattern and add some nifty effects within Photoshop. He also taught us some valuable life lessons spanning from naming files to dealing with licensing issues. BDF has made me realise that I need to embrace more traditional design methods. 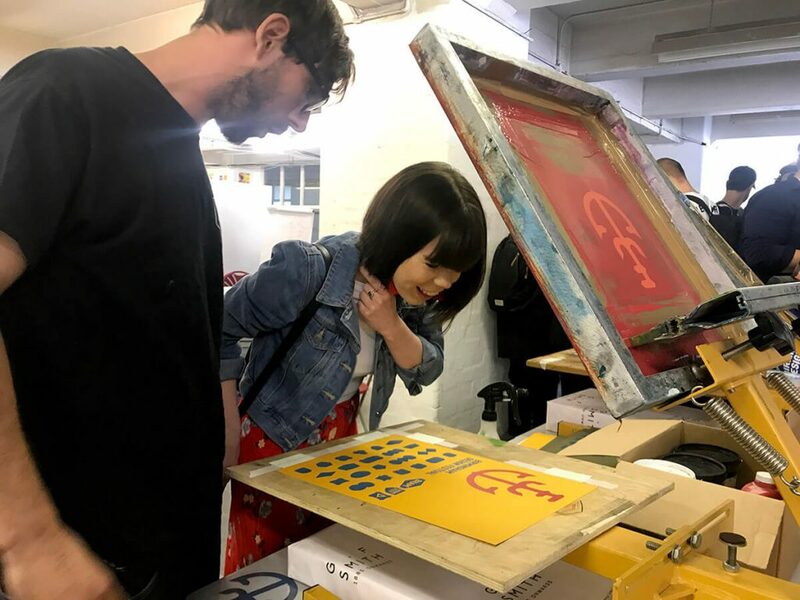 I loved screen printing, using an Adana Letterpress and checking out the Risograph at Rope Press (which shamefully I didn’t know existed). I will definitely be attending more workshops in Birmingham from now on. I genuinely loved every minute of Birmingham Design Festival and cannot wait for the next one to the point I’m even rounding the troops up from my university to make sure they attend. Oh, and another definite highlight was Anthony Burrill revealing an acid house record collaborated with David Ducaruge, a design talk with glow sticks is always a winner. Roll on BDF2019! 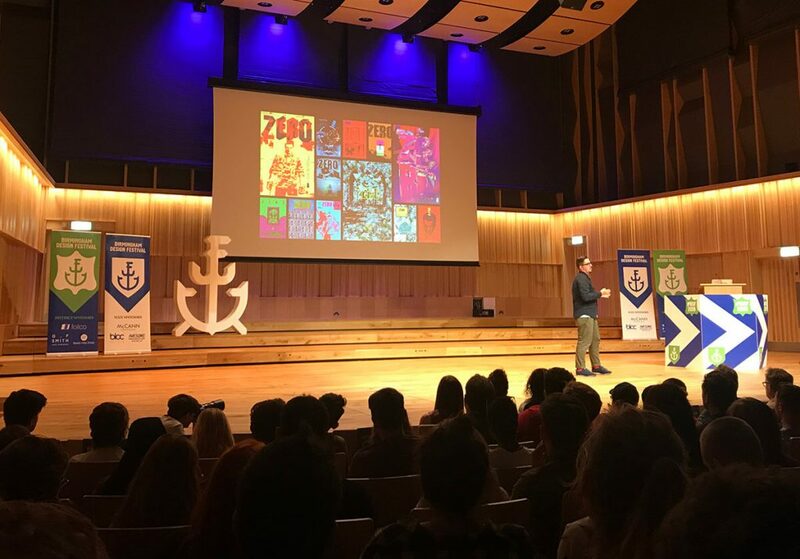 I kicked off my BDF2018 experience by attending ‘Gamers don’t read’ hosted by the amazing Darren Wall. As someone who grew up playing video games (and still plays now! ), I love how passionate Darren is about recording the history of the gaming industry by looking in-depth at companies like Sega. It’s often an overlooked sector in the publishing world so it’s inspiring to see his passion come to life with this beautiful editorial design. 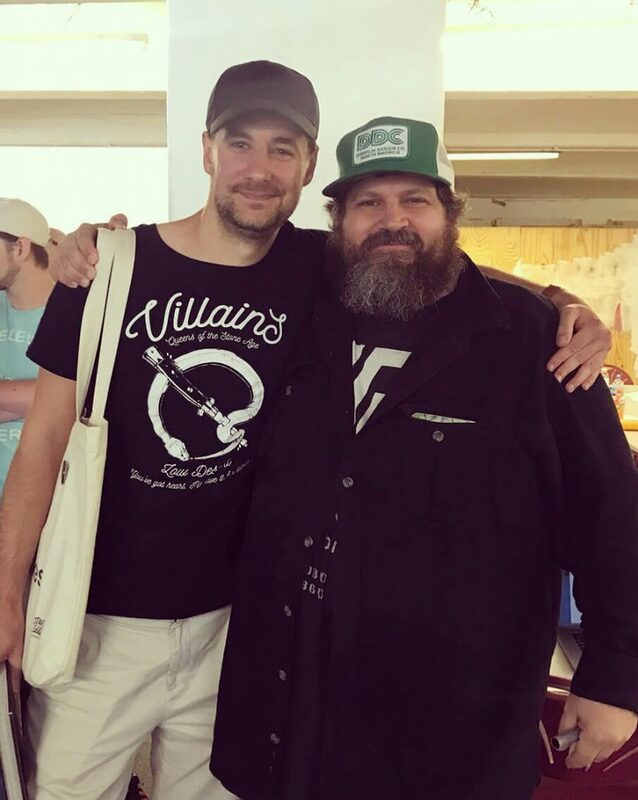 Following some amazing talks on the evenings by some of the industries best and brightest the highlight for me was getting to meet the amazing Aaron Draplin. I was lucky enough to get a ticket for one of his workshop sessions where people had the opportunity to get a glimpse into how he works day to day and what his design process is. Getting to see your design hero work stuff up in illustrator is nothing short of awesome, and his passion for the industry is infectious. My signed copy of his book will sit on my shelf and act as a reminder that anyone with the motivation, passion and can-do attitude can do some really incredible things with design, and more importantly, make people smile. Considering it was the first year, BDF2018 was a monumental success and it has me incredibly excited for the future of design in Birmingham. The team behind it did an awesome job and I look forward to BDF2019! Congrats to the organisers and we can’t wait for what 2019 will bring!